Steven McKenzie: “He got it totally wrong yesterday. Bartley should always play in derbies, they’re his type of games. Lennon refuses to accept any blame. 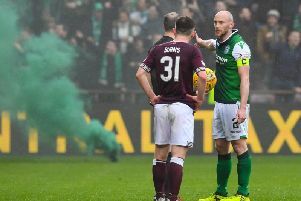 “He has done a good job for Hibs, but let’s not forget that we’ve been good for him. No one was going near him after his time at Bolton.